Going rogue never made so much sense. The Descente Rogue Insulated Ski Jacket is one for the rebels braving the winter elements and protects with Heat Navi® and 100g 3M Thinsulate™ insulation, keeping you warm even on the longest slope days. Fully adjustable features, including a powder skirt and lycra cuffs, and Motion 3D™ Fit technology make this jacket easily customizable, and a comfortable option with Matte 4-Way Stretch fabric. Access the pit zips for a quick and easy cooldown. An inner mesh pocket, media pocket, and pass holder make it easy to store and access valuables. The waist, wrist, and hood adjusters make it easy to achieve your best fit. "How do you wash or clean this product"
"Thank you for your inquiry. Follow the care instructions on the care label attached to the inside of the garment. Before washing, zip up and close all zippers. If the jacket has a removable hood, un-zip it, and wash it separately with the jacket. Snap snaps closed, button buttons and fasten down Velcro adjustments prior to cleaning. For technical garments, Descente recommend NIKWAX® tech wash when laundering. It is designed specifically for use with technical garments and helps to re-invigorate waterproofing. Use caution around heat sources, such as hot dryers, heat registers, fires, fireplaces, and hot irons. They can burn holes or melt the fabrics. Heat source damage is not covered under warranty. We hope this information helps! " 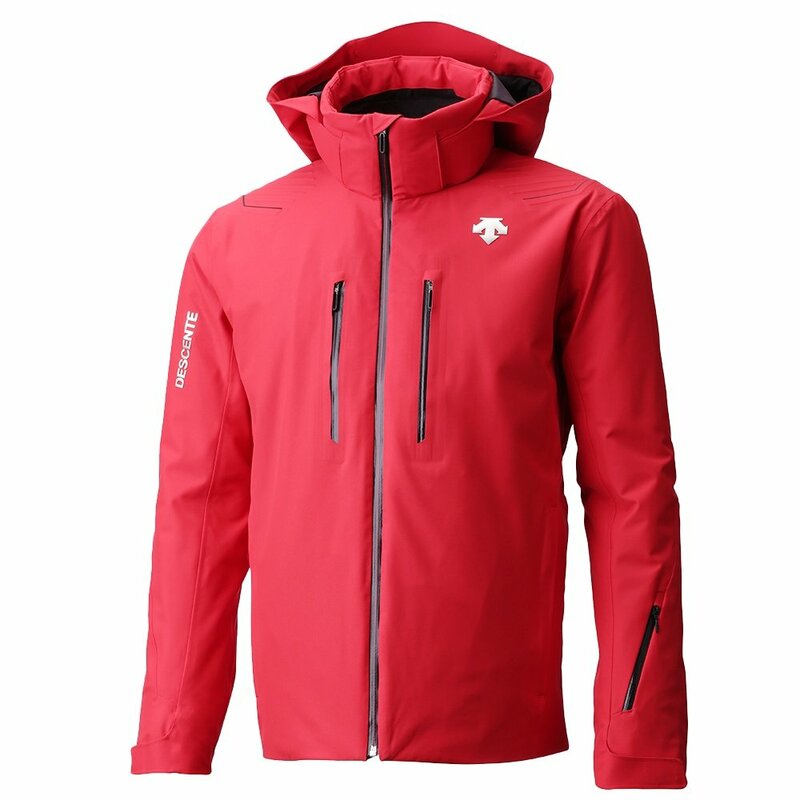 "Is the length of the Descente Rogue jacket for men 29.5 inches in front or back or both?" "Thank you for your inquiry. The length of the Descente Rogue Insulated Ski Jacket front and back is 29.5 inches. We hope this information helps! "